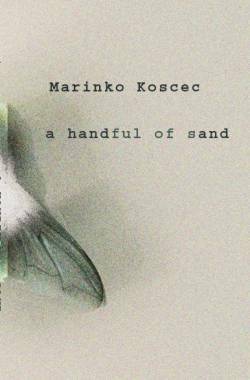 Marinko Koščec’s A Handful of Sand (translated by Will Firth, e-copy from publisher) is a novel written in two alternating monologues. One is from the perspective of a man while the other tells a story from a woman’s point of view. While there are no names to give you any clues, the sections are handily printed in different fonts. The man lives in Canada, the woman in Zagreb, but we sense from the start that there must be a connection between them – one we’ll have to wait for. A Handful of Sand is an intriguing ‘he says, she says’ story about a relationship decades in the making, but one which may not last much beyond the initial spark. It also provides a brief insight into the last few decades of Croatian history, but don’t worry – this is not another war novel. The conflict is distant, and the mentions of it are fleeting. For the writer, his characters’ personal growth is far more important. He may claim that he has little to say on the subject, but it’s one which is never far from the surface. I thoroughly enjoyed this one when I read it & loved the interplay of the two individuals tales, as they came together then parted. This sounds really interesting, as does Istros Books. I could be spending a lot of money on their shop page! Nose_in_a_book – Glad I could help out (or not, depending on your finances! ).